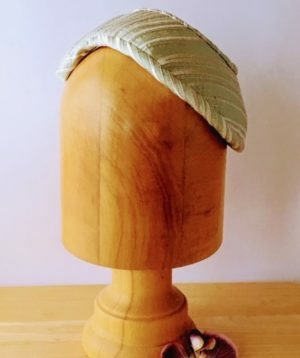 Trending for 2019 is this 50’s style champagne straw style lightly padded bandeau. 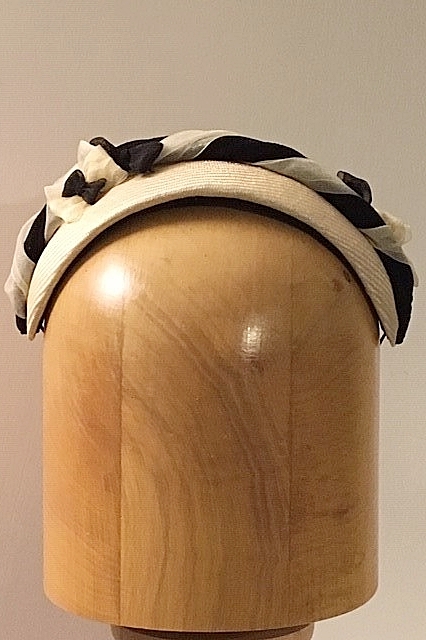 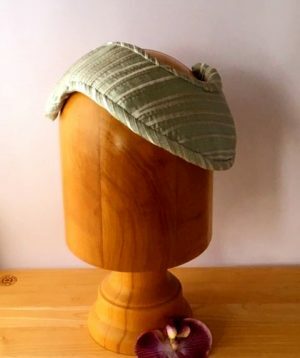 This hat has been created to sit either forward and tilted to the front of the head as shown or worn flat like a headband in a further picture. 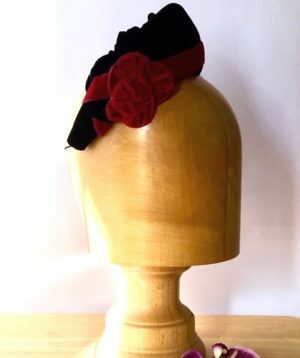 The crown has vintage black velvet twisted and intertwined with champagne coloured organza ribbon. 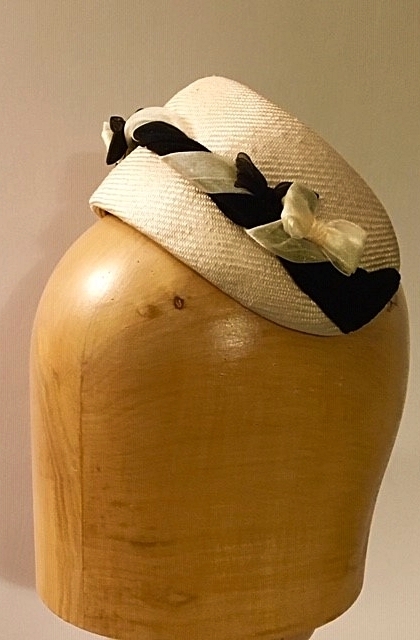 The front and back have been adorned with matching bows. 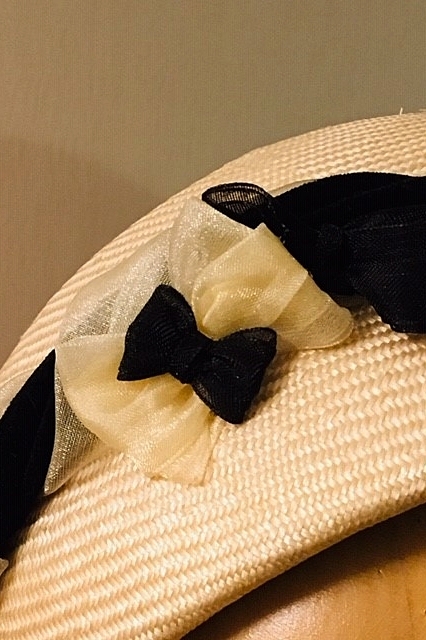 black and champagne organza bows. 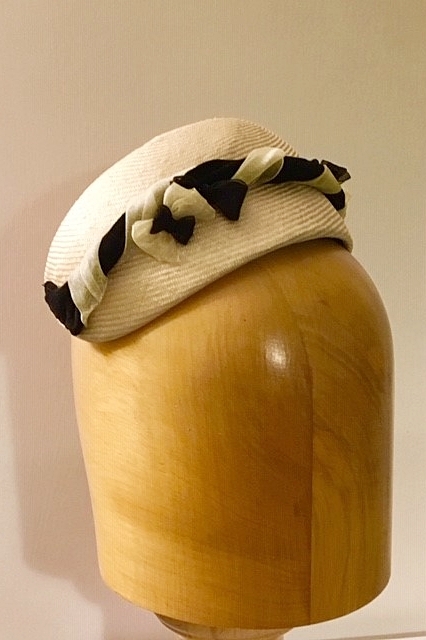 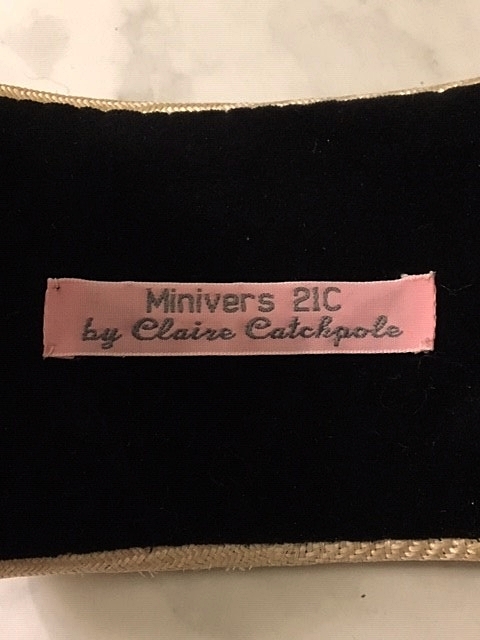 The underside is finished with black velvet and the hat is secured with hat elastic creating a comfortable headpiece. 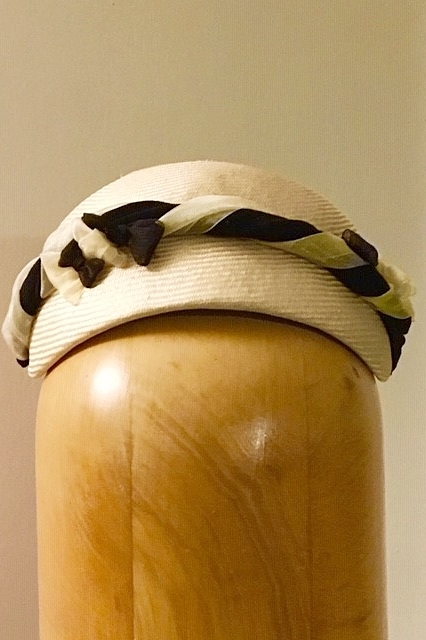 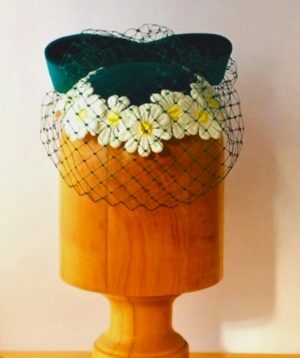 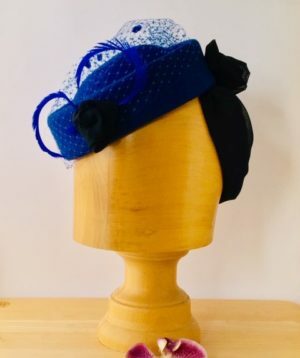 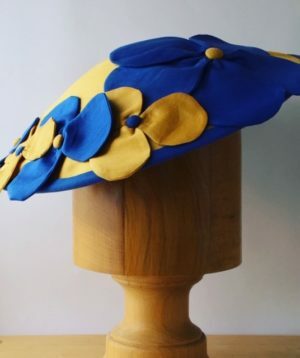 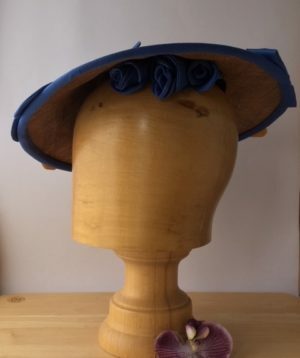 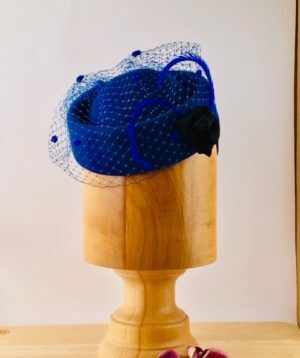 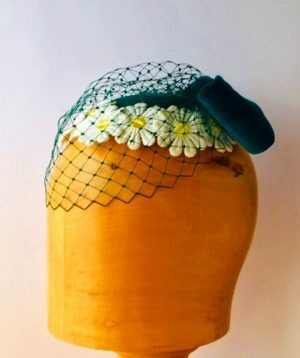 This is a very versatile headpiece and will be on sale during ‘Hatmosphere’ at the Old Brompton Gallery Kensington London during May and June in readiness for Ascot and the racing season of 2019 at the . 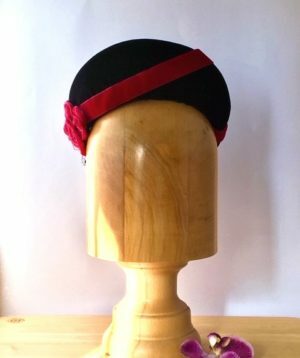 This hat can also be made to your personal order.